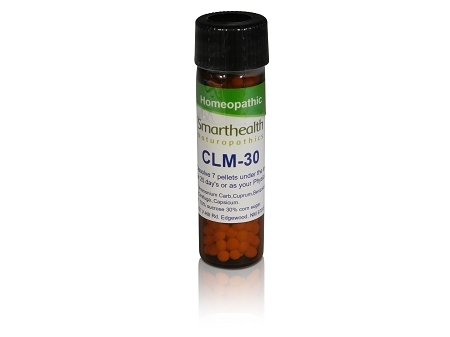 CLM-30.Chlamydia/Gonorrhea Infection Medicine.Naturopathic/Homeopathic Medication And Treatment. This product was specifically designed to work like a Natural antibiotic it has a success rate of about 93%. It's designed to work when antibiotics don't. For symptoms that resemble or that or similar Chlamydia / Gonorrhea disease. More and more we hear how antibiotics are failing to work at killing these infections much like the antibiotic resistant staphylococcus infection.This formula can be taken in combination with antibiotics to ensure that the infection is killed, there is no drug contradiction with this formula. If you haven't been tested for ether of these infections but think you may have it why take a chance, start taking this formula and if the symptoms go away your good, if not oh well. This product may decrease your chances of developing (PID) pelvic inflammatory disease. Ingredients: Cuprum Metalicum, Ammonium Carb, Benzoicum Acid, Berberis, Capsicum, Cimifuga. Inactive ingredients: 70% sucrose 30% corn sugar in non allergenic pellets. Directions: dissolve 7 pellets under the tongue once daily for 25 day or as your Naturopathic physician directs you. I just completed 30 day's of the pellets with success! The milky white discharge has dried up and burning when urinating has gone and I feel better. I wasn't tested for chlamydia but have had it a few year before and new what the symptoms were this product handled it great. Q: I just received my order and there was also another product in the box I didn’t order . Something to build immune system . Do I have to take these products together ? Or is this his a free gift! A: Yes, this is a gift you can take the product you ordered and then follow that with the "Immune system" formula.